Early on the night when the company encountered the Trolls one of the ponies became frightened and bolted into the river; Fíli and Kíli nearly drowned getting the beast out of the water. After the trolls had turned to stone and the company explored their hideout, it was Fíli who encouraged the others to get out of the 'horrible smell' in the troll's lair. 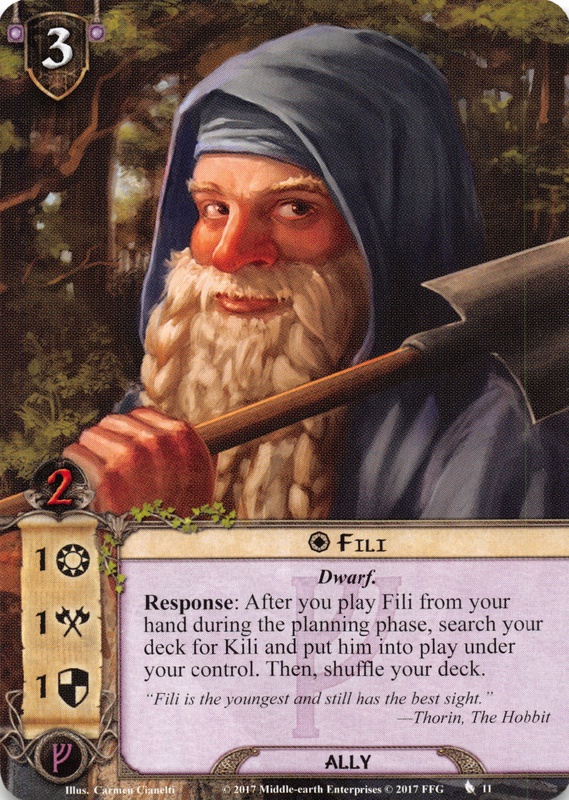 When Bilbo spied the boat on the far side of the Enchanted River, Thorin chose Fíli as the youngest with the best sight (instead of Dori, the strongest) to throw a rope with a hook attached to snag the small vessel. Fíli did manage to snag the boat on the second try but could not pull it across. Kíli came to his aid first, followed by Óin and Glóin, before the boat came loose (after its painter snapped). When the company made the crossing they used another rope that Fíli threw ahead into the trees since the boat had no oars. 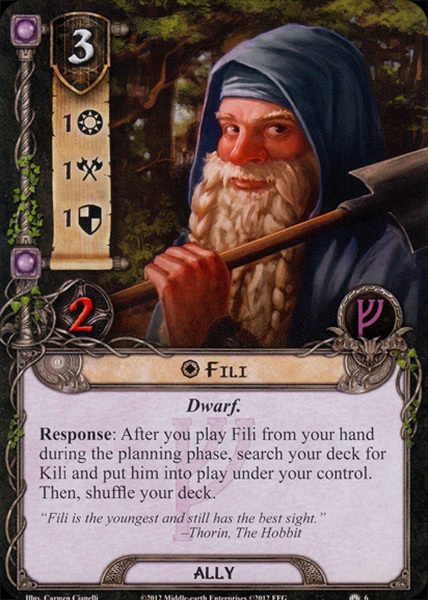 Fíli is a dwarf from the Dvergatal. 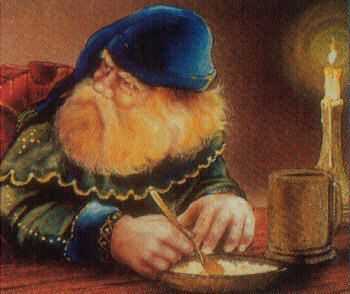 It can mean 'File' or 'Filer'; it is of Frisian or Low German origin rather than Old Norse.